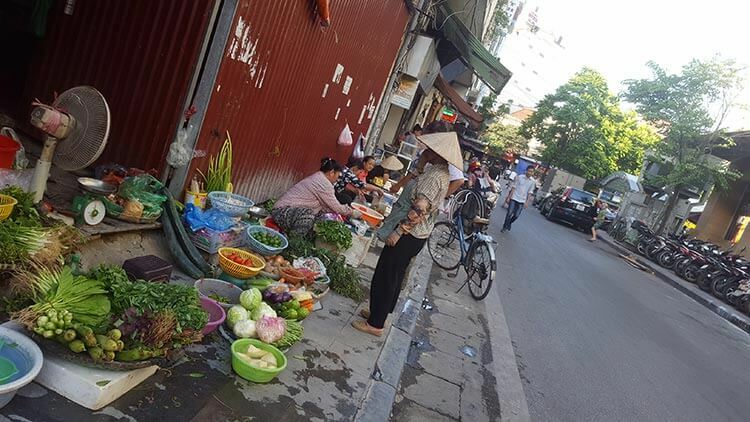 Hanoi, Vietnam… a city that lives, eats, drives, sells and breathes on the streets. Grab a chair, put it on the pavement and you have a restaurant. Stick a mirror on a wall in a road and you have a barbers shop. Put some veggies on paper on the sidewalk and you have a shop. Live, eat, drink, fix motorbikes, make a fire and boil a kettle… on the street. 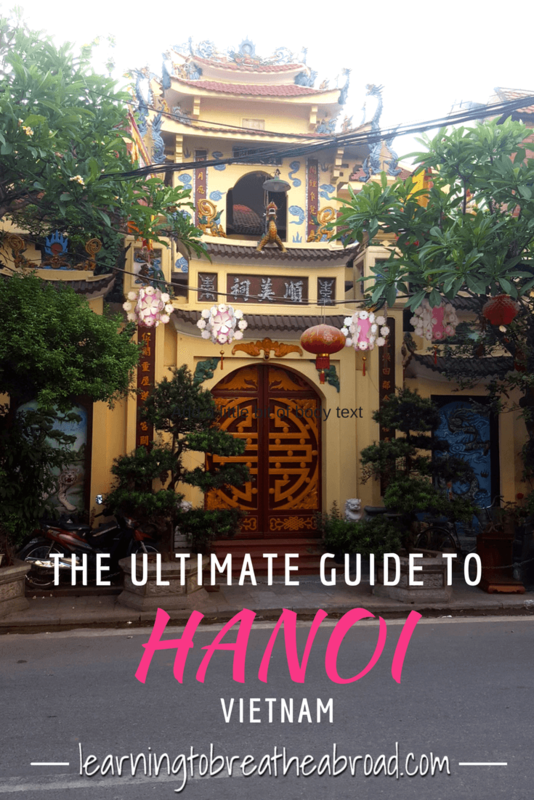 Here follows our city guide to Hanoi which includes a list of all the things to do in Hanoi. The traffic – oh my word! Crossing a street can be a positively terrifying experience! When we first arrived I didn’t think I’d ever be able to get anywhere, but then we learnt to just walk – slow and steady and most importantly – NEVER hesitate. It is quite something to behold how as you cross, somehow the multitude of scooters and cars just keep flowing and you pop out the other side. We stayed in the Old Quarter which is made up of 36 streets. Each street has a specialty, so one street just sells sunglasses, the next hardware and paint, the next gaudy religious icons, the next silk, one for toys, even one for custom designed scooter seat covers! And boy, did we walk those streets – coffee frappe in hand – salivating at the exquisite clothing that so wanted to be bought but no space in our tiny bags! Ladies, this is where you come when you want to stock your cupboards with summer dresses! Real estate costs a pretty penny here, so shops try and maximise every inch of space they have! 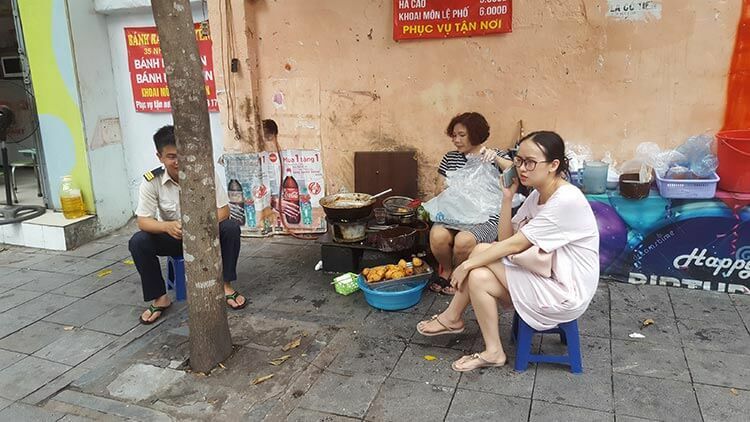 We did an entertaining street food tour with a hilarious guide who went out of his way to find us the most outlandish food to eat – kidney & liver pate, deep fried eel, the rankest seafood paste I’ve ever smelt, baby rice deep fried in egg that had the texture of sago pudding – we barely ate, but laughed till we cried. He took us through the streets of the Old Quarter, stopping at various “restaurants” food stalls, where he would present us with our next bowl of exoticness! 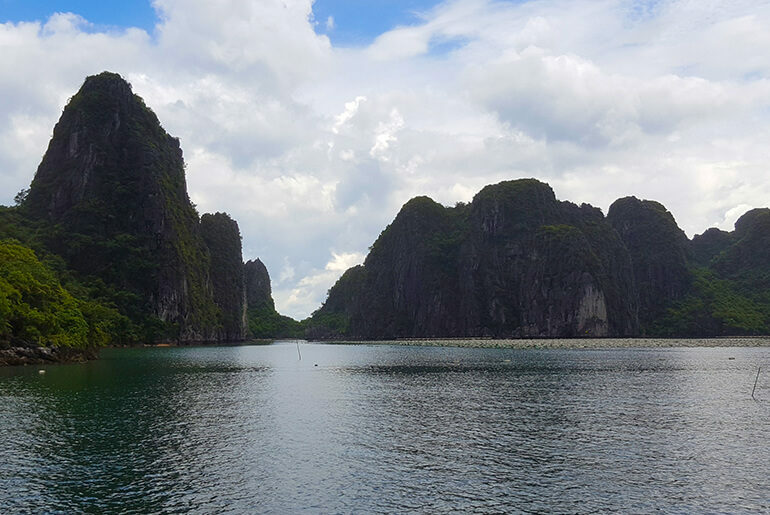 We sat with locals, got to explore the city, sampled things I may never try again and found out a huge amount about the Vietnamese culture from our guide. We ended the evening in a beer house – which you should never enter if you are a single girl – you will be seen as a “loose” woman! 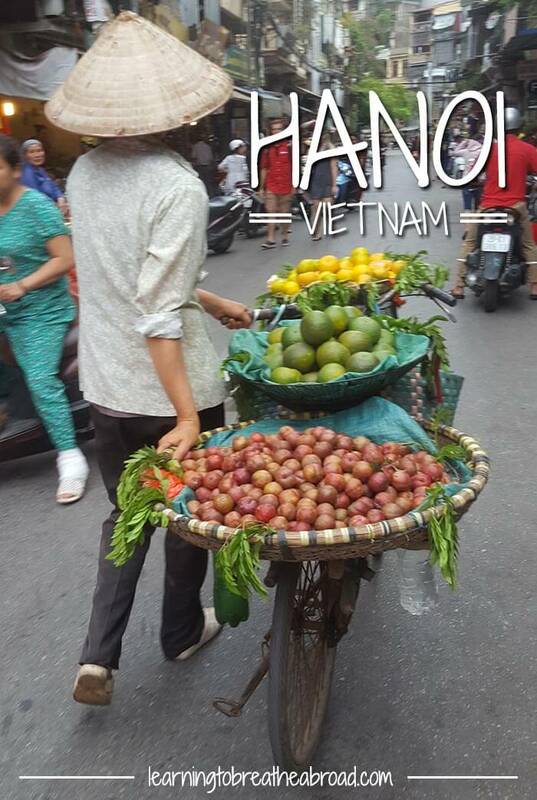 If you are in Hanoi, then a street food tour is an absolute must! The Ho Chi Minh Mausoleum is a memorial to the Vietnamese leader, Ho Chi Minh and Vietnam’s revolutionary struggle against foreign powers. It is located in the center of Ba Ðình Square, which is the place where Ho read the Declaration of Independence on September 2, 1945, establishing the Democratic Republic of Vietnam. The Museum of Ethnology was a real hit with Tai! 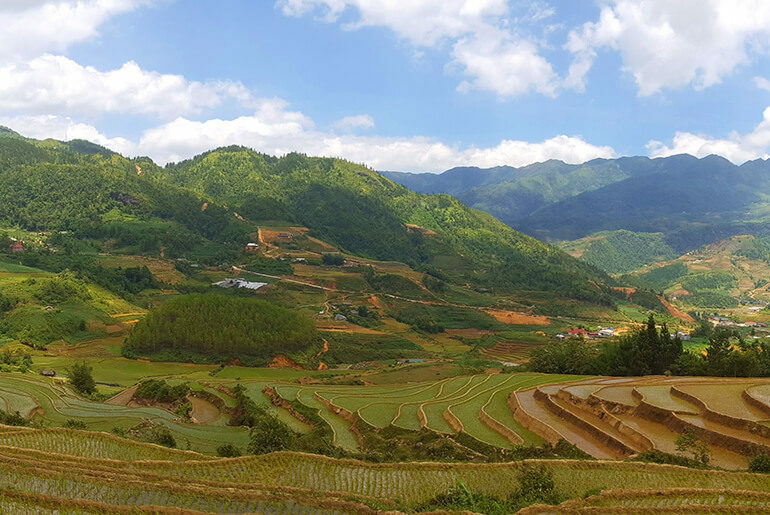 There are 54 recognised ethnic minority groups in Vietnam, each with their own traditions, cultures, clothing, housing and languages. 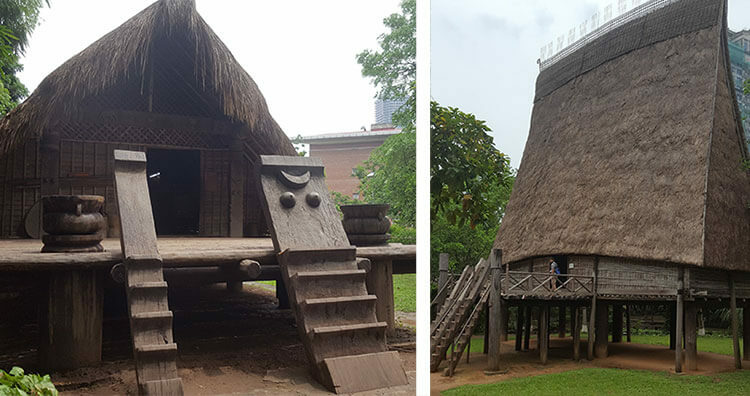 The Ethnology Museum has huge sprawling grounds with a number of houses modeled after the traditional architecture of the ethnic minorities. Each one is magnificently crafted and furnished to depict the daily life of that minority group. We loved climbing up the steep ladders, exploring all the huts and seeing how they lived, ate and slept. There is also a water puppet show, with 6 daily performances, but we didn’t see it as we had already seen a show in Hanoi Old Quarter. Found 10 minutes walk from the Old Quarter, the Temple of Literature is often cited as one of Hanoi’s most picturesque tourist attractions. It is a temple of Confucius and although several Van Mieu can be found throughout Vietnam, the most prominent and famous is that situated in the city of Hanoi. It also functioned as Vietnam’s first university. If you’re wanting to get away from the noise of the city, the Temple of Literature offers a peaceful setting for you to relax. Hoan Kiem Lake, in the Old Quarter, is the very scenic historical centre of Hanoi. In the midst of the chaotic hustle and bustle and traffic, the lake and its manicured gardens offer a tranquil setting to watch the world go by. Walk over the red bridge to the island housing the Ngoc Son Temple, visit at dawn to see the locals practicing Tai-Chi or take an evening stroll and play shuttlecock golf!! 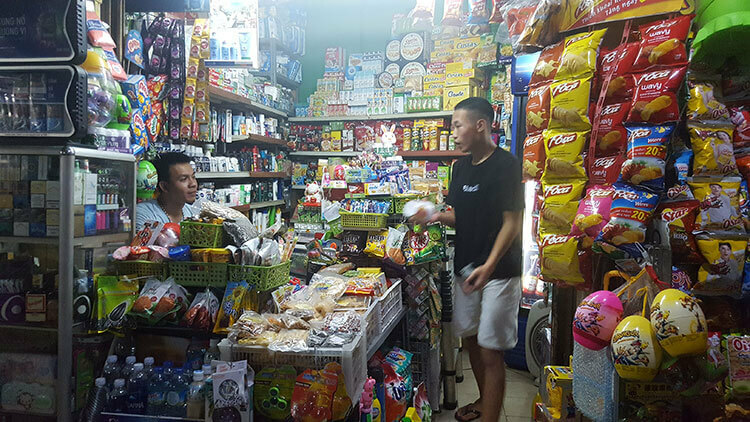 On Friday, Saturday and Sunday evenings from 7pm, this vibrant market can be found from Hang Dao Street to Dong Xuan Market. The walking streets are bustling and busy with people strolling, shopping and eating at the roadside stalls and from the local food vendors. 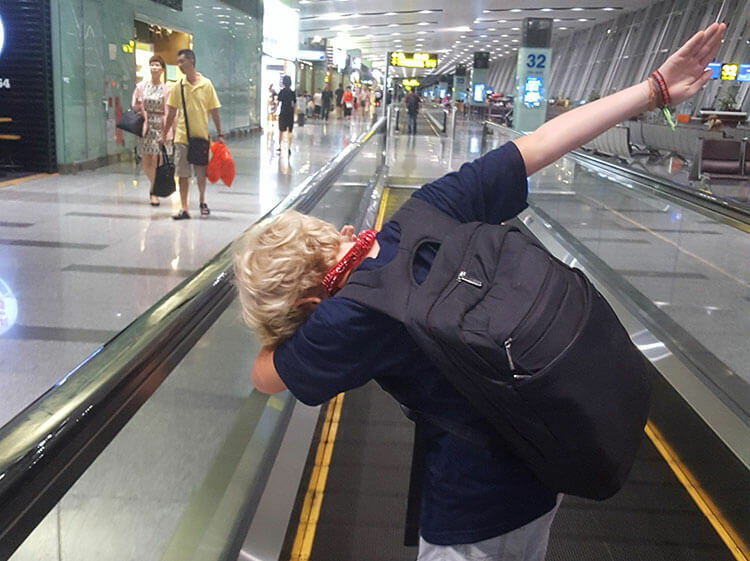 There is lots of cheap clothing, souvenirs, sunglasses, food and other tacky trinkets. I wouldn’t go for the shopping, but the festive atmosphere attracts large crowds of both locals and tourists, so a fun night out. When travelling with kids, how could you say no to a puppet show? So off we went to the Thang Long Water Puppet Theatre and it really was very enjoyable! The orchestra used some weird looking traditional instruments that made beautiful music with accompanying singers singing in Vietnamese. The whole show was done in water, with puppets moved on long bamboo poles. The scenes were clever and well thought out, in their depiction of daily traditional life. We all thoroughly enjoyed it! 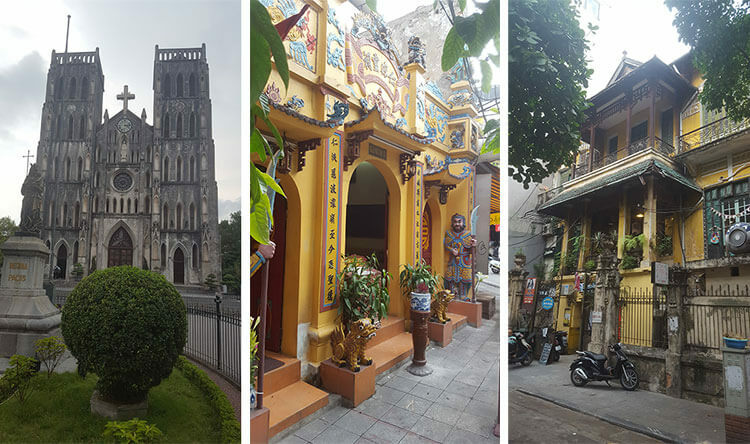 Hanoi has an interesting architectural history which has left it with a unique melding of Chinese, French, Russian and local Vietnamese architectural designs. From ancient to modern and from Oriental to French, all happily co-existing alongside each other. It makes for fascinating strolls and lots of Kodak moments! We stayed in the Old Quarter and this is where I would recommend that you stay. It is amazingly central and you’ll find that most attractions are a mere 10-15 minute walk away. If you’re looking for something quieter, then head over to the French Quarter for a slightly more peaceful environment. 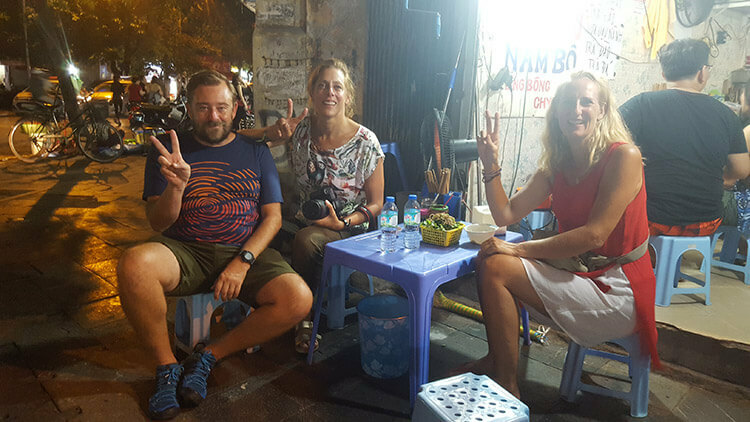 Vietnam is known for its street food, so rather than venturing into a restaurant, try something tasty, local and delicious. The street vendors have tiny shops with little – and I mean little – plastic tables and chairs that place on the sidewalk. Each vendor usually only serves one dish, so slow your pace as you’re walking the streets and starting taking note of what people have on their plates. When something looks good, find yourself a seat and enjoy! Bun Cha – Barbecued pork on a bed of rice noodles, usually served with a side order of spring rolls. 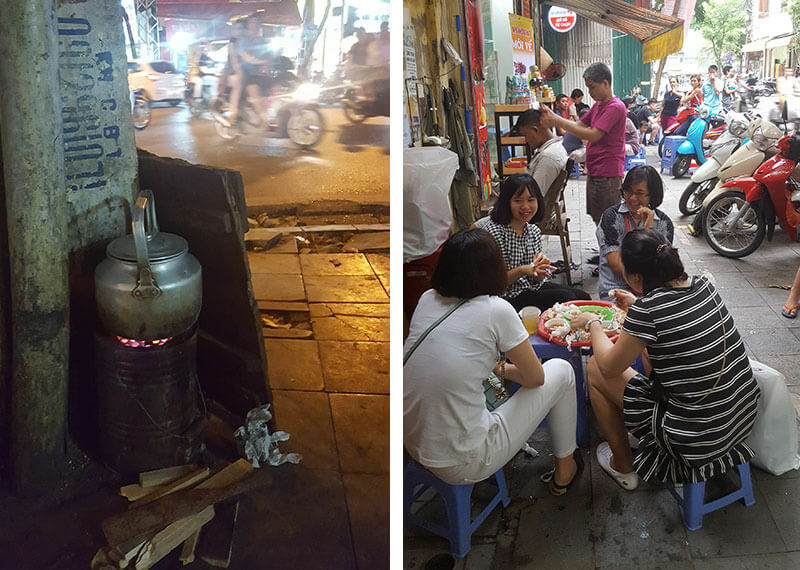 This Hanoi specialty is one not to be missed. Pho – Nothing beats a steaming bowl of beef broth with noodles and fresh herbs for breakfast. Tai is broth-mad and virtually lived on Pho during our time in Vietnam. Bahn Mi – These are not sandwiches as we know it. These are gourmet creations that will leave you salivating for more. A baguette with your choice of meats, pickles, pate and vegetables all drizzled with gravy and chilli. Egg Coffee – Coffee with condensed milk, sugar and egg yolk that is so moreish you’ll go back for cup after cup. The more time we spent, the more the city grew on us. I could go back tomorrow… although next time with an empty suitcase!